This week we said goodbye to our Herky exhibit and said hello to the beauty of papermaking. 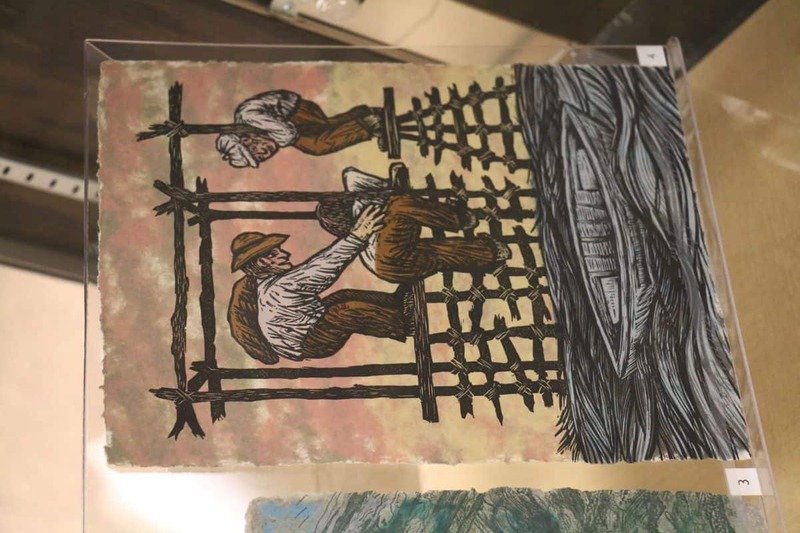 Giselle Simón, Head Conservator at University of Iowa, was invited to curate an exhibit called Hand Papermaking Portfolios: Selections from 1994-2017 in honor of the Dard Hunter and the American Printing History Association joint conference, which will be held here, in Iowa City, starting Thursday, October 25th. 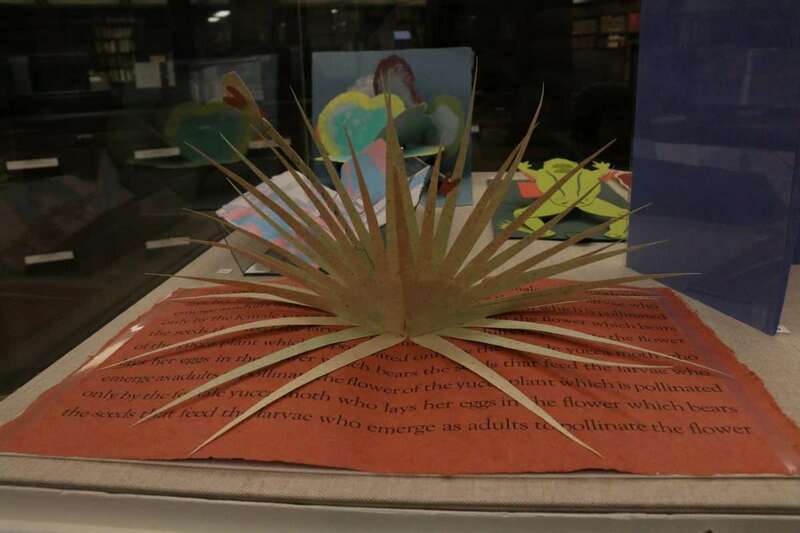 The pieces on display in the Special Collections Reading Room all come from the Hand Papermaking Portfolios held within Special Collections. There are twelve different categories, including calligraphy, watermarks, pop-up and more. Simón was able to include something from each portfolio for the display, a task that has not been done before now. 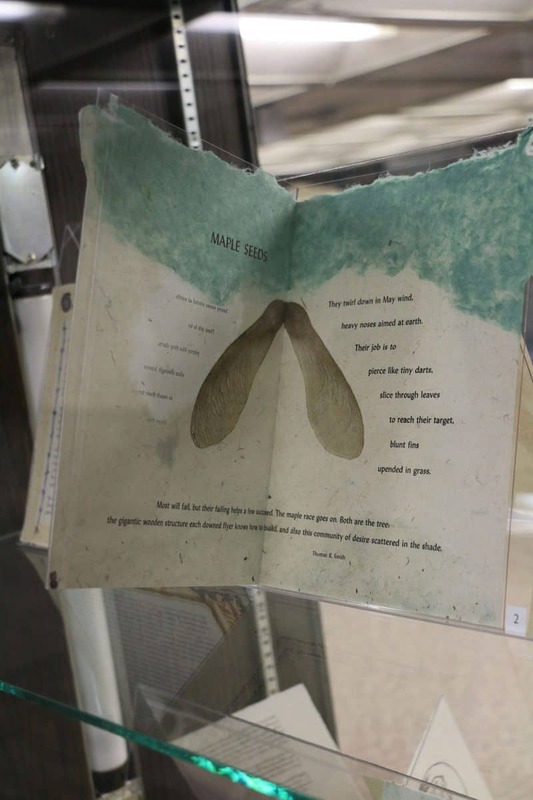 This series is a growing collection, with the first modern hand papermaking produced in 1994 by Hand Papermaking Magazine (a publication founded by Michael Durgin and Amanda Degener in 1986). The goal of the magazine itself was to provide an educational resource for those who did hand papermaking. The portfolios allow paper artists to come together and share skills and information about their work, and they contain the works of several individuals, making this project a true community effort. By looking at the display, viewers can certainly tell it is a form of art. The watermarks display case is an example of that. When looking at this particular display case, the selections are interesting, but seem to be missing something. Some just look like pieces of paper with a simple image on it. 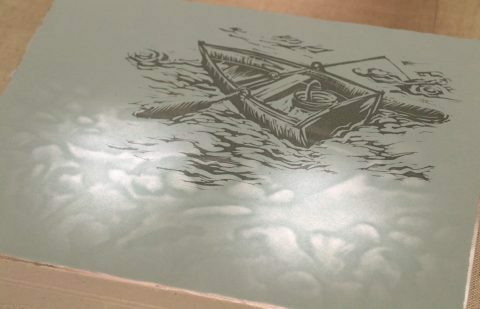 However, it isn’t until the visitor turns on the lights placed underneath the paper that the watermarks are revealed and the images are completed. “I enjoyed working with Bill Voss, the exhibit preparator, to create mounts that would illuminate the watermarks,”Simón said. The watermarks are not the only thing coming to life in the display. There is a display case devoted to pop-up papermaking and it is truly sprouting life. 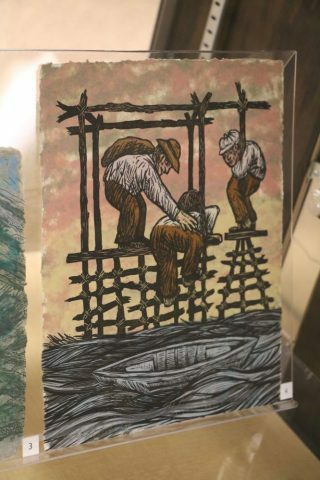 Every piece on exhibit shows how papermaking is a work of art. Hand Papermaking Portfolios: Selections from 1994-2017 is now open and will be until early January. All are welcome to attend this event filled with activities for all ages. 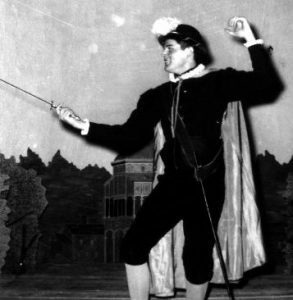 Come celebrate the art of book making and other Shakespearean delights, featuring a lively cast of actors, artists, scholars, book makers, and fencers. Roll up your sleeves for book art fun with paper making, book binding, and more.In Shakespeare’s time, all books were made by hand. But that didn’t mean book craftspeople were slow. A team of 3 papermakers could make 2000 or more sheets in a day! Individuals and families are encouraged to come join us, have a chance to try various aspects of bookmaking, and take home a piece of paper, a printed sheet or a bound small book that you make yourself! 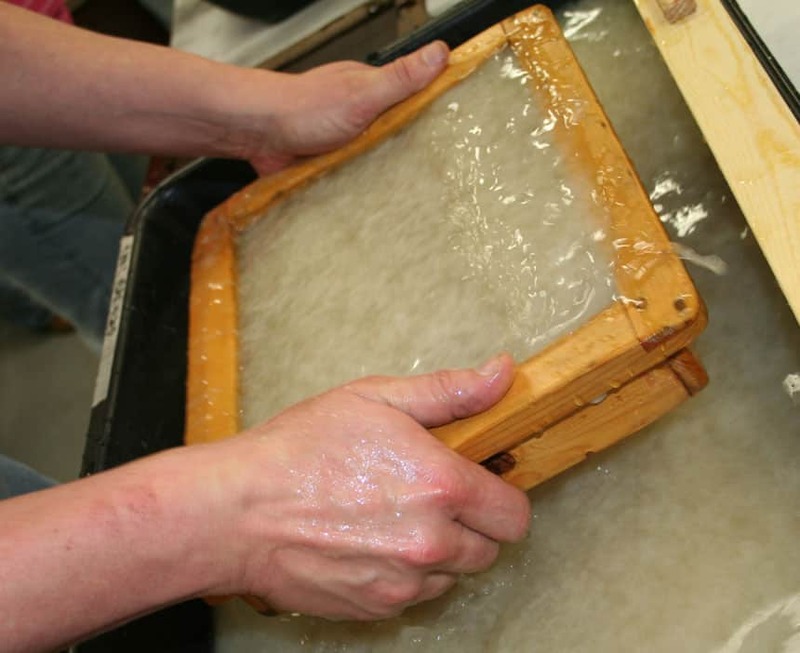 Papermaking—Form your own sheet of paper from wet pulp, press it, and take it with you to dry at home. Handouts will be provided for more information about papermaking history and how to make it at home. 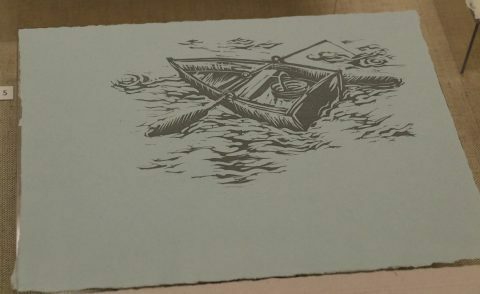 Printing—Print a small keepsake on a hand press similar to the presses that were used in Shakespeare’s time. The printed impression will be a piece of Shakespeare’s writing, with a bit of background on the Bard. Bookbinding—Bind a simple pamphlet structure, using xerox copied Shakespeare text, and a handmade paper cover. Requires basic sewing with a (dull!) darning needle. Visitors are welcome to take part in one, two, or all three activities!